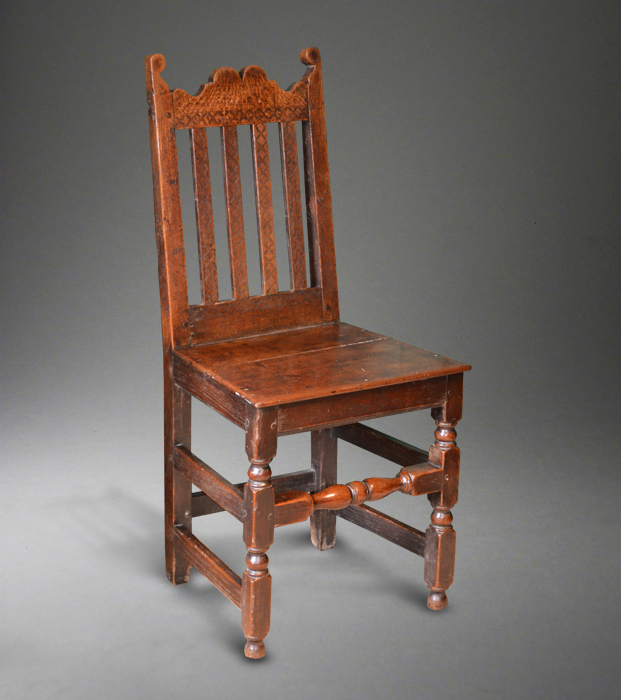 Suffolk House Antiques | A rare set of six Welsh oak chairs. 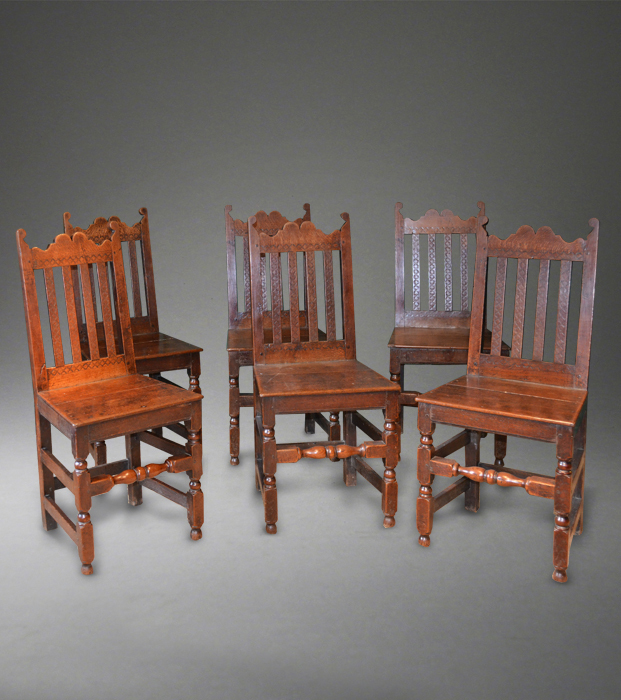 A RARE SET OF SIX WELSH OAK CHAIRS. It is very hard to find genuine sets of early oak chairs as not surprisingly after three hundred years they have usually been split up or just broken beyond repair. This set date to about 1700 and in addition to being a true set, they are in excellent untouched condition retaining their original toes and with good patination. They have arched crest rails between scrolled earpieces and have incised decoration to the slats and crest rails. A very similar chair is illustrated in Volume One of "Welsh Furniture" by Richard Bebb Fig 561 where he ascribes it to Radnorshire. Although clearly from the same workshop, as was pointed out to me by a sharp eyed observer, there is a difference in the configuration of the back. They are priced at £2950 for the six. SOLD.